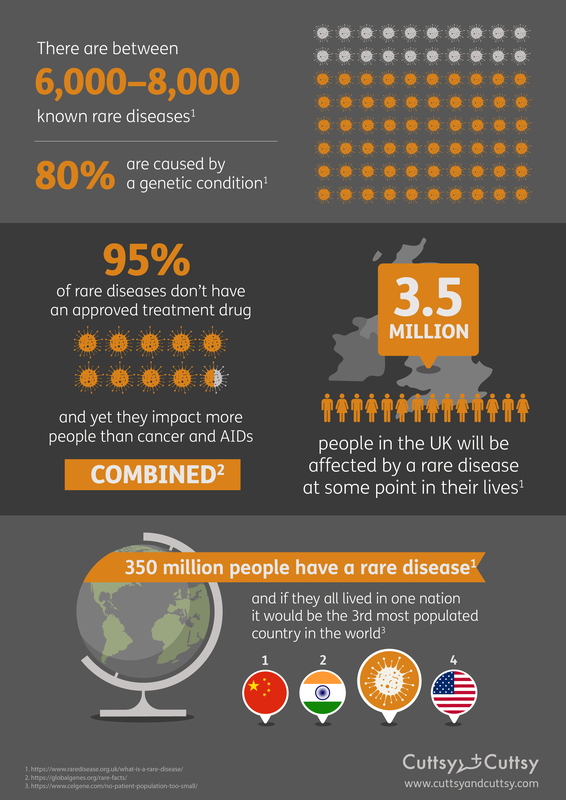 Did you know, for example, that over 3.5 million people in the UK suffer from a rare disease or that 95% of rare diseases don't have an approved treatment drug and yet they impact more people than cancer and AIDs combined? This is why it is so important to raise awareness of the impact of rare diseases on patients’ lives. We have designed this infographic to highlight some of these facts and figures, please do share it to help raise awareness.